Qingdao, a coastal city in East China's Shandong province, is recruiting high-end talent worldwide to further boost its marine sectors. The Qingdao Municipal Bureau of Human Resource and Social Security issued a recruitment notice on its official website (http://www.qdhrss.gov.cn/indexpc.html) on Tuesday. More than 370 positions are listed, including chief scientist of Qingdao National Laboratory for Marine Science and Technology and deputy director of the Qingdao International Cruise Administrative Bureau. The positions are focused on marine research, teaching, management and technology, with 90 percent requiring a doctoral degree and overseas study background, according to the notice. Those recruited will be provided with a basic salary, research funds, offices and an accommodation subsidy. Other favorable policies also will be offered. For example, top talent will be given a maximum of 5 million yuan ($722,650) each as living allowance. Authorities also will provide those hired with conveniences on exit-entry administration, children's education and medical care. With the implementation of the nation's marine power strategy and the Belt and Road Initiative, Qingdao is taking the lead in developing China's marine industry. 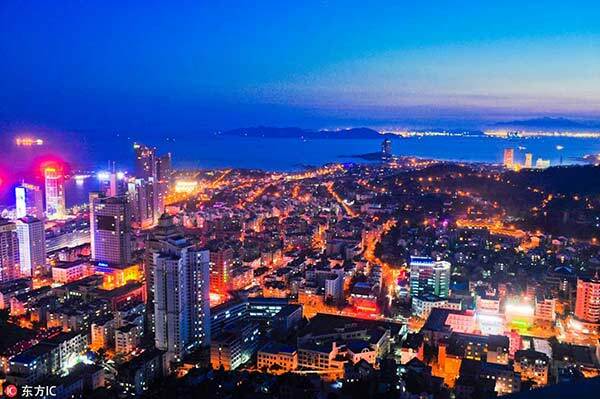 Leveraging its rich resources in marine science research and a solid foundation in marine development, the city achieved marine gross domestic product (GDP) of 209 billion yuan ($31 billion) in 2015. The marine sector accounted for 22.5 percent of the city's total GDP. By 2020, the marine industry is expected to account for 30 percent of the city's total GDP, according to the Development Plan on Qingdao Marine Plus (2015-2020).